Düsseldorf is a city in western Germany known for its fashion industry and art scene. As an important cultural center, Düsseldorf has dozens of museums and in excess of 100 art galleries. Düsseldorf, each July, hosts the Largest Fair on the Rhine, a week-long funfair attracting more than four million visitors. Congress Center Düsseldorf, Düsseldorf’s exhibition center, is based in one of Germany’s most important business and science hubs. It is located on Messe Düsseldorf a mere three kilometres from Germany’s third largest airport and five kilometres from Dusseldorf Old Town. 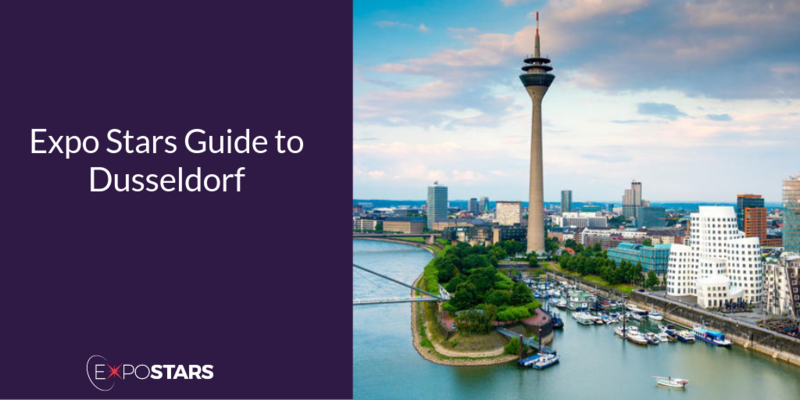 Once you arrive at Düsseldorf’s airport, it is a hop skip and a jump into town using either the “Flughafen Düsseldorf” station or the S-Bahn S11 via the “Düsseldorf Flughafen Terminal” station. This old capital is also a city of wide streets lined with elegant shops, with a ring of parks and gardens encircling its downtown area. Walk down Königsallee: Germany's Most Elegant Avenue. Stroll along The Embankment Promenade. Take a trip around Old Town Düsseldorf. Im Schiffchen - Two Michelin star restaurant offering a menu of indulgent French dishes. Nagaya - European meets Japanese at this Michelin-starred Düsseldorf legend.